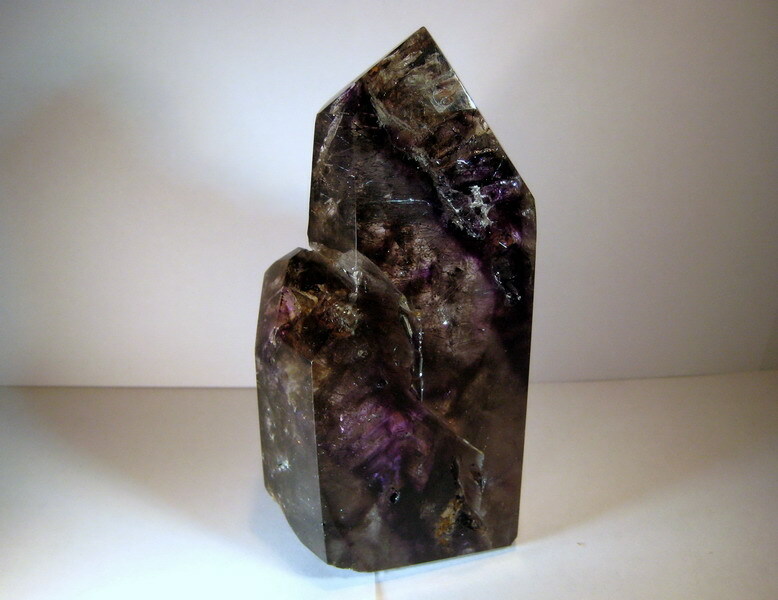 This 6’’ tall Fantastic Amethyst Crystal Point has multiple faces and variations of deep purple amethyst, smoky, milky and crystal clear quartz to lighter violet amethyst. 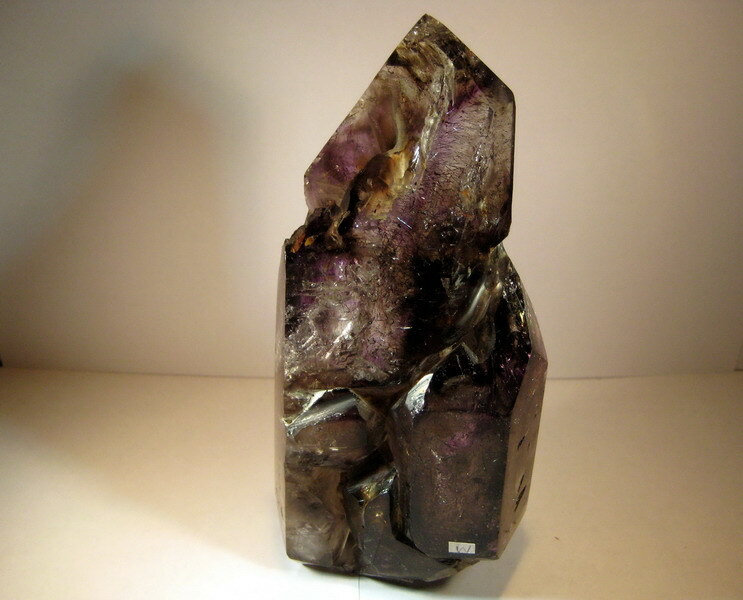 Each angle of the stone reveals rutile inclusions and mystifying multicolor patterns inside it. This piece has ½ inch enhydro bubble clearly visible from each side which moves up and down in a 1 inch long water inclusion. 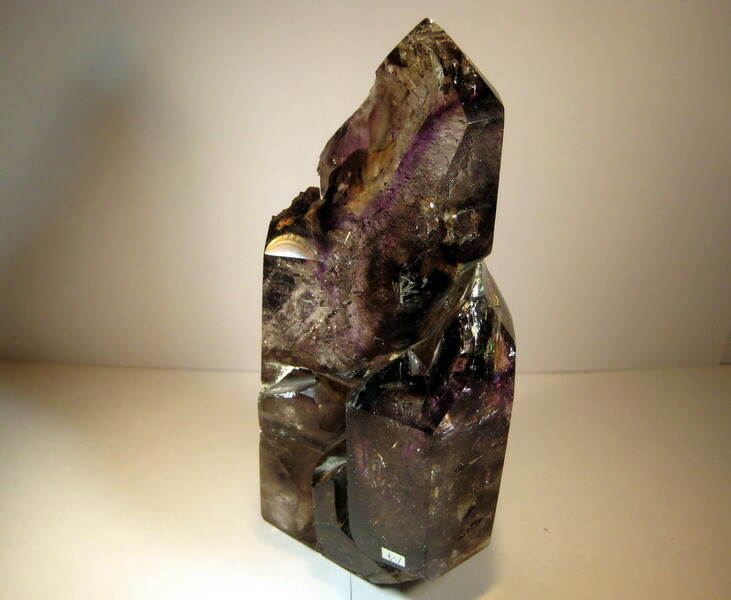 Absolutely gorgeous and unique stone! It is currently in our San Francisco stock.